With a wealth of experience in the music industry between the four band members (over 40 years! ), Frequent Fliers are well-equipped to give you top live music to ensure your event's entertainment is a success! 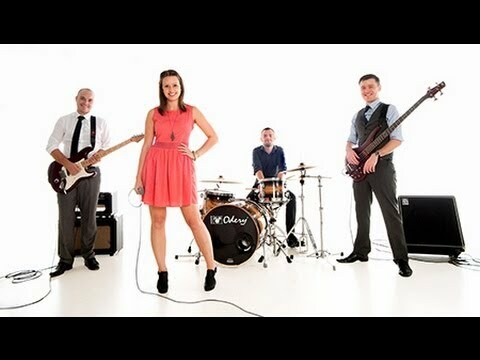 Their setlist of classic and current hits alike, offers something for everyone with '60s numbers from Elvis and The Beatles and 80's floorfillers by Madonna, as well as recent chart-toppers from Kings of Leon and Calvin Harris. Check out their up-to-date repertoire for yourself, under the setlist tab. If there are other songs you'd like to request then feel free, Frequent Fliers offer this for no extra charge, as well as letting you choose your own set-list if the one provided doesn't suit your particular event. Just ask! The performance video at the side of this page and the extensive number of recorded tracks are available for you to get an idea of this band's superb talent and versatility and so you can see if they're the band for you. If they are, don't hesitate - contact us directly today. Fresh, energetic and reliable, Frequent Fliers are guaranteed to deliver, whatever the setting - be it wedding, party, function or Christmas celebration. To find out what others have thought of this band, have a look at the reviews tab - it shows perfectly how happy their previous clients have been! Sorry, Frequent Fliers doesn't have any photos right now Send us an enquiry and we'll get back to you, or check out the rest of the act profile. Sorry, we don't have a setlist for Frequent Fliers yet Send us an enquiry and we'll get back to you, or check out the rest of the act profile.